Credit impacts almost every aspect of our financial lives and credit scores can either cost you hundreds of thousands of dollars of unnecessary interest over your lifetime or they save you just as much. At no time is the influence of your credit scores more evident than when you apply for a mortgage or refinance an existing mortgage loan. If you’re suffering from previous credit problems qualifying for a mortgage loan can seem impossible. You know you need to improve your credit before you apply and well before you’ll be qualified. But, where do you start? 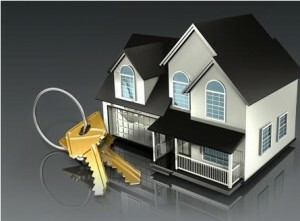 Where do you need to focus your credit repair efforts in order to qualify for a mortgage loan? The process can seem overwhelming, but it really isn’t. What follows is simple process outlining what it will take to get your credit reports and scores “mortgage ready.” The American dream of owning a home is within reach. The first step to any credit improvement plan is to find out what your credit reports are saying about you. We call this the “credit analysis” and the purpose of this exercise is to review your credit reports for potential errors and to identify any information that may be holding you back. You’ll need to do this for all three of your credit reports from each of the credit reporting agencies; The Big Three: Equifax, TransUnion and Experian. This is especially important when you’re planning to apply for a mortgage because mortgage lenders consider all three of your credit reports rather than just one of your three. As part of the underwriting process, mortgage lenders will also pull all three of your credit scores and will base their decision on your middle credit score. And, if you apply jointly with a spouse or a partner, you can add another three credit reports and three credit scores to the mix. The best way to determine your game plan is to focus on the score factors that were returned with each of your credit scores during the credit analysis. Your score factors explain the top four reasons why your credit scores weren’t higher and are the single most effective way of identifying where to focus your credit improvement efforts to get the best results. Trying to improve your credit scores without focusing on the score factors is like guessing, and that’s not going to be effective. If your credit scores are low because of negative information, it’s important to understand that unless you’re able to remove the negative information, you may have to live with lower scores for a while. You can help counterbalance some of the negative damage by focusing your efforts on adding new, positive credit information to your credit reports. We’ve discussed some of the methods of adding positive information to your credit reports in previous blogs, like a Secured Credit Card, The Authorized User Strategy and the Credit Builder Loan. On a related note, if your credit reports show that you have unpaid debts or past due balances, you’ll need to address them prior to applying for a mortgage. Paying or settling outstanding debts should be the last option because it won’t improve your credit scores but mortgage lenders will require that you pay or settle the debts before you to close on a mortgage loan. Credit Repair would be the first step before settling or paying the debts. In most cases Credit Repair can remove or delete outdated, unverifiable and or misleading derogatory information from your credit profile. Thus, increasing your credit score and leveraging it to qualify for a new mortgage or refinance your existing mortgage. When you reach your target score, it’s time to start applying and you should apply liberally. FICO’s credit scores are designed to ignore mortgage related inquiries during their first 30 days on your credit reports, giving you the ability to rate shop with several different lenders in order to get the best possible deal. You’ll also want to put the brakes on any, and we mean ANY, new credit applications or heavy credit card usage while you’re going through home buying process. Applying for new credit or making large purchases could inadvertently lower your credit scores and adversely impact your debt-to-income ratio and impact your ability to close on the loan. Assume the lender will pull your credit reports and FICO scores while you’re driving to the closing to make sure nothing new has hit your credit reports that could stop the deal in its tracks. This means waiting to buy furniture or making any other significant purchases until after you’ve closed and you have the keys in your hand. To learn more about rebuilding or establishing credit call InCreditable Advisors today at 317.837.4969 to schedule a free consultation with one of our friendly credit advisors.